Treating pre-kindergarten like a silver bullet isn't helping the disadvantaged kids who need it most. Magical thinking is constraining smart thinking in three important ways. 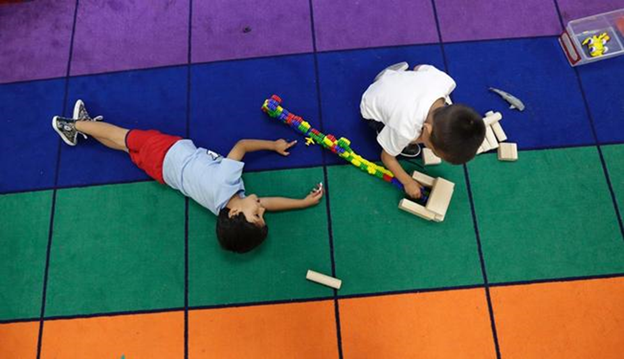 Pre-kindergarten has been gaining a lot of momentum in the U.S. The proportion of 3- and 4-year-olds attending preschool has almost tripled since 1970, up from 21 percent to 55 percent in 2013. Between 1980 and 2016, the number of states with publicly funded pre-K programs increased more than fourfold, from 10 to 45. Since 2002, state spending on pre-K has risen by nearly 300 percent, growing from $2.4 billion to almost $7 billion in 2016. In 2015 alone, 11 states boosted their pre-K funding by more than 25 percent. Pre-K can benefit many children. But it's crucial to remember that, just like in K-12 education, variation in pre-K quality can be huge: between different states, different cities, different programs within a city and even different classrooms within a single program. And while it's often promoted as an across-the-board silver bullet, there's nothing inherently special about pre-K any more than there is about kindergarten or fourth grade. Good pre-K will benefit children; mediocre or bad pre-K won't. This seems obvious, but as pre-K is promoted and rolled out across the country, magical thinking is constraining smart thinking in three important ways. First, tacking new pre-K programs onto low-performing public schools is a bad strategy for advancing children's well-being. As I've written elsewhere, K-12 public schools have a very poor track record with disadvantaged children. Despite annual school spending of $650 billion, only 29 percent of low-income fourth graders are proficient in reading and 25 percent in math. Among African-American fourth graders, just 18 percent are proficient in reading and 18 percent in math. Many disadvantaged children are already stuck in failing schools for 13 years, and sending them there a year earlier won't help them. A substantial industry has formed around reforming the K-12 schools so they benefit poor and minority children, and it's proved to be a lengthy, immensely challenging task. Until low-performing K-12 schools are "fixed," new early childhood programs should be located elsewhere. Second, pre-K programs for disadvantaged children need to incorporate an explicit focus on children's families. As children enter K-12, they become students, and most schools pay no attention to the families raising them. But 3- and 4-year-olds aren't students; they're young children. And their families have by far the most significant impact on their development. One great model for effectively integrating school and family for preschoolers is Perry Preschool – one of the best-known and most successful early childhood programs – which combined a morning preschool program with weekly home visits to improve the family environments in which children were growing up. Third, a widespread emphasis on programs' production of short-term academic skill gains – often called kindergarten readiness – is misguided. Academic skills are important, but a growing body of research underscores that building a solid foundation of noncognitive (or so-called character skills) – like motivation, perseverance, self-control and empathy – is also crucial to children's later success in academics, career and life. One recent study, for example, found strong links between children's social and emotional skills in kindergarten and later outcomes in education, employment and criminal justice. In other words, a narrow focus on children's academic skills is insufficient. As James Heckman has argued, children's early years are an especially important period for development of both cognitive and noncognitive skills. Yet much of the research showing that pre-K works is based on tests of short-term gains in basic academic skills, like counting small numbers and memorizing letters of the alphabet. Pre-K programs that simply raise children's test scores in kindergarten may look effective in the short run but don't accomplish what's most important for children's long-term success in school and in life. Good early childhood programs can have a strong, positive impact on disadvantaged children. But clear – not magical – thinking on the part of advocates and policymakers is urgently called for to ensure that pre-K really ends up helping the children who need it the most. Katharine B. Stevens is a research fellow in education policy studies at the American Enterprise Institute, specializing in early childhood education.